Annabel Fairfax SWA grew up in Suffolk and has painted all her life. She worked in the design studio at Colefax and Fowler and then studied photography with Georje Lewisnski before attending The Heatherley School of Fine Art. Annabel Fairfax has had several solo Exhibitions most recently at ING and The Ebury Galleries and has taken part in many group shows including The Summer Exhibition at The Royal Academy, The Albany Gallery in Cardiff for The SWA and annually for Art For Youth at The Royal College of Art, the Bembridge Sailing Club on the Isle of Wight, The Affordable Art Fair in Battersea, The Society of Women Artists at The Mall Galleries, and The Hampshire Art Fair with Quiddity Fine Art. 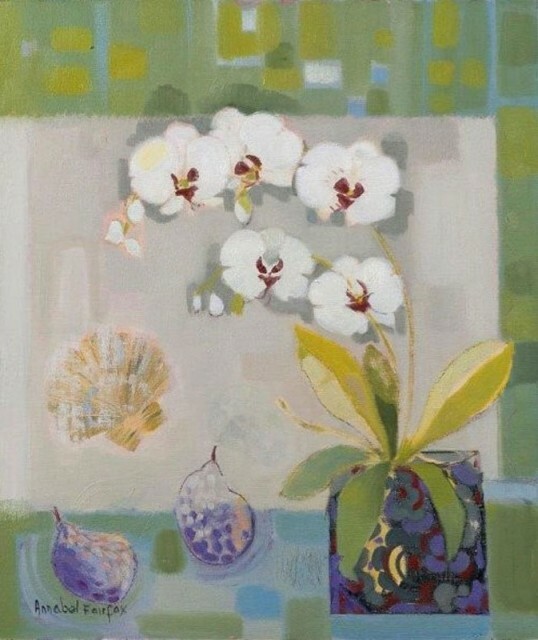 Annabel Fairfax was elected a member of the Society of Women Artists in 2011.